Join the mailing list for the EBC Rhode Island Chapter. Join the Listserv for this EBC Chapter to receive and share targeted email communications. The mission of the EBC Rhode Island Chapter is to identify and address issues of concern and of interest to EBC members and their clients in Rhode Island. 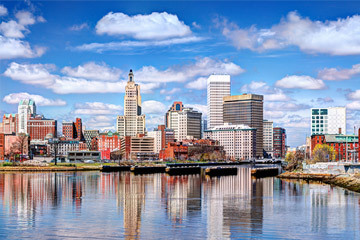 Issues include legislative, regulatory and policy developments in Rhode Island, recent project successes and how they were accomplished, and networking and business development opportunities at the federal, state, regional, and local level. These issues are addressed by providing objective information from up-to-date and reliable sources including government officials, technology developers, and business experts. The members of the EBC Rhode Island Chapter Leadership team meet routinely with the committee chair to identify topics for future EBC programs. As part of their responsibility, members of the leadership team will also take on the role of program chair to organize and moderate EBC programs for this Chapter.